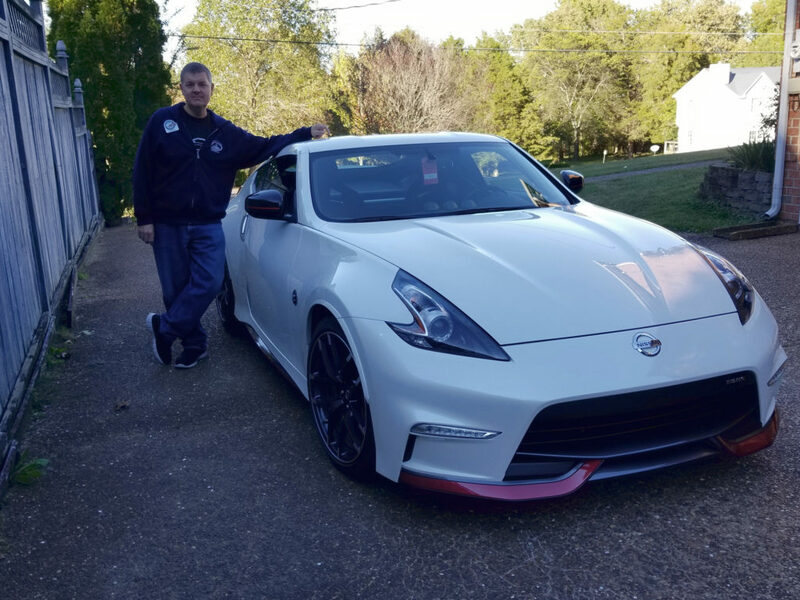 Matt has always been a lover of the Nissan Z line of cars. In 2008 the 370z was nearing release and Matt had plans to purchase one as soon as they were available. Matt’s wife, however, was a little more practical and put her foot down regarding having a car with back seats for their then four-year-old son. Instead of the 370z, Matt picked up an Infinity G37 coupe instead which was essentially a 370z with back seats. But the G37 didn’t quite satisfy the Z itch, and Matt always had his eyes on the sharp lines of the 370z. Fast forward 10 years: his son is nearing driving age and and back seats in the G37 are too small for his son to fit comfortably. The one reason for not having a 370z was no longer a show stopper! This 2019 Nissan 370z is a NISMO edition that is factory-tuned with more horsepower and a stiffer chassis than the normal 370z. The car is a blast to drive and makes Matt’s daily commute through the traffic to downtown Nashville a bit more enjoyable (if you can call the commute downtown enjoyable).